Seychelles is a member of the Paris Convention and the World Trade Organisation. The Industrial Property Act 7 of 2014 only came into effect on 1 March 2015 and the commentary given below is based on the information available at the time of writing. Provision is made for the registration of trade marks for goods and services as well as for certification marks and collective marks. Three-dimensional marks and well-known marks are also expressly protected. Patent protection is available via a national filing or via registration of a UK granted patent in Seychelles. 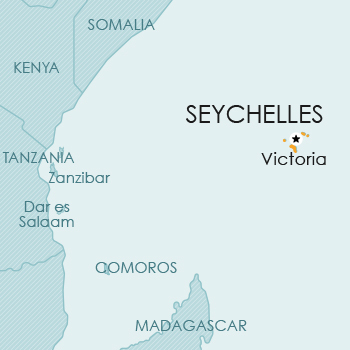 Although it is possible in a PCT international application to designate Seychelles, the laws in Seychelles have not been amended to cater for the PCT. Accordingly, it is not clear whether enforceable rights will be obtained via PCT national phase filings in Seychelles. A United Kingdom design extends automatically to the Seychelles. Seychelles is not a member of the Berne Convention. Copyright is also provided for works of Seychelles folklore. Special provisions apply to the copyright in Seychelles folklore. works of artistic craftsmanship or applied art. For literary, musical or artistic works to be eligible for copyright, sufficient effort has to be expended to make the work original, and the work must have been written down, recorded or otherwise reduced to material form. Currently, no legislative provision for plant breeders’ rights or other sui generis protection for plants is available in Seychelles.